Some people might say that after notching ten No. 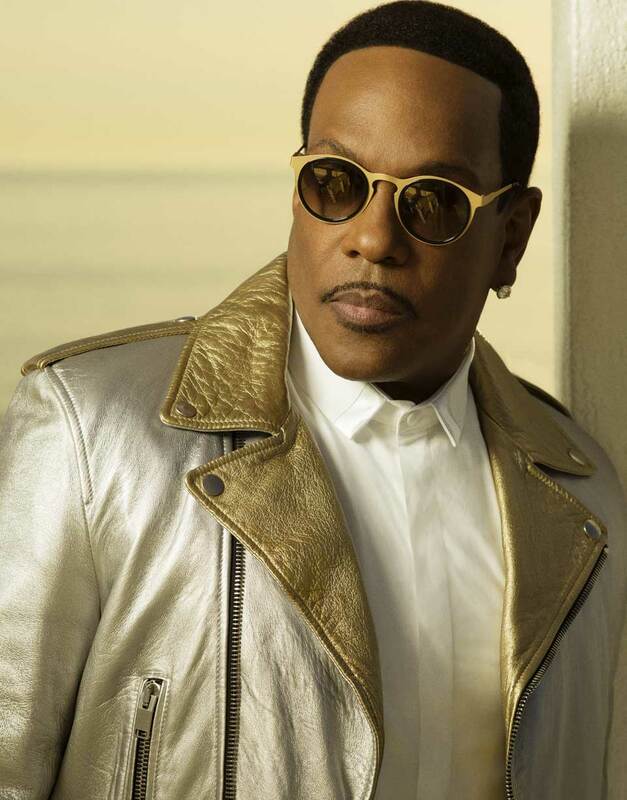 1 singles, 13 Grammy Award nominations, a New York Times best-selling memoir and ongoing sold-out, coast-to-coast arena tours, Charlie Wilson has proven his point….and he isn’t planning to slow down anytime soon. includes a 2019 Grammy nomination for Best Traditional R&B Performance for the track “Made For Love,” his enchanting duet with Lalah Hathaway. In 2018 Charlie was also nominated for three 2018 NAACP Image Awards, Outstanding Male Artist, Outstanding Duo, Group or Collaboration and Outstanding Album. Wilson continues his reign as “Uncle Charlie,” the lovable nickname originally given to him by Snoop Dogg, by being one of the most highly sought-after adult entertainers for today’s top Hip-Hop and Pop artists. In 2018 he stepped in as a replacement for Cardi B opening for Bruno Mars on his 24K Magic World Tour Finale performing for thousands of fans in Minneapolis, Detroit, Dallas, Los Angeles and Mars’ hometown, Honolulu, which made history selling out three nights at Aloha Stadium. The experience is one Wilson will never forget. “I have been a fan of Bruno’s from day one and it has been an honor to be able to share the stage with him performing to the thousands of fans on his record-breaking tour. The energy for our show in Hawaii at Aloha Stadium was beyond anything I can recall in my career. In the end I couldn’t be more proud and happy for Bruno and what he has accomplished in the evolution of his music” said Wilson. He also joined Kanye West and Kid Cudi to sing the chorus on the track “No Mistakes” from West’s album Ye, which debuted at #1 on the Billboard 200 chart. Wilson also united with long-time collaborator and friend, Snoop Dogg, on the track “One More Day” from Snoop’s “Bible of Love” gospel album, which debuted at #1 on the Billboard Gospel Albums chart. In May, 2018, The National Museum of African American Music, scheduled to open in Nashville in 2019, honored Wilson with their Rhapsody & Rhythm Award at their Legends Celebration. Coinciding with the release of In It To Win It, Wilson’s national U.S. tour sold out arenas around the country. He is continuing to tour with dates in the U.S. and a special performance in London at the British Summer Time Festival in Hyde Park with Bruno Mars in July 2018. Together, the team crafted a package that fully encompasses Wilson’s unlimited reach. He explores the synergy between pop and R&B with Thicke on the mid-tempo “Smile for Me” (“You can’t tell our vocals apart sometimes,” says Wilson). Then he and Pitbull double-down on the party track “Good Time.” And who knew rapper Wiz Khalifa possesses an impressive singing voice, which he shows off on the noteworthy “Us Trust.” Another “oh wow” moment is the duet between Wilson and Lalah Hathaway on the scintillating 2019 Grammy nominated “Made for Love.” Their what-took-so-long pairing calls to mind the magic conjured between Lalah’s late father/soul legend Donny Hathaway and Roberta Flack. Wilson signed to Jive (now RCA) in 2004 after landing his first No. 1 Billboard Adult R&B hit in 2000, “Without You.” Since then, he’s released six solo albums and become a consistent chart presence. His tally of 19 hits boasts seven more Adult R&B No. 1s. Among them: “My Love Is All I Have,” “You Are” and “There Goes My Baby.” While garnering 13 Grammy nominations and other industry accolades, including BET’s 2013 Lifetime Achievement Award, Wilson has stayed busy on the road, as he is a major concert draw, claiming the crown for top winter tour of 2015 with his Forever Charlie arena tour, or in the studio. 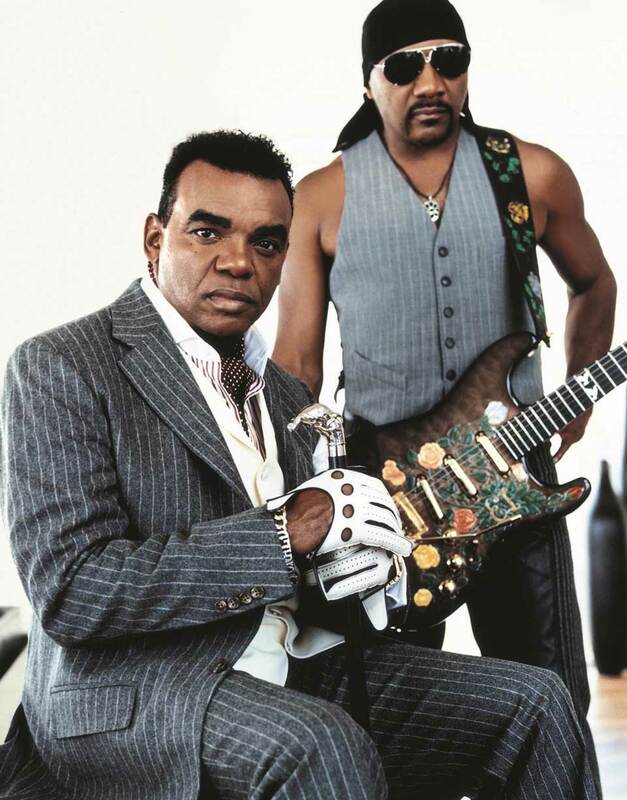 “It’s Your Thing”, THE ISLEY BROTHERS have had three Billboard Top 10 singles, eleven of their albums charted in the Top 40, and sixteen of their albums have received either certified gold, platinum or multiplatinum status.